This Fourth of July will again celebrate liberty, one of the unalienable, natural rights with which we are endowed by our creator as declared by a small group of men in Philadelphia 236 years ago. 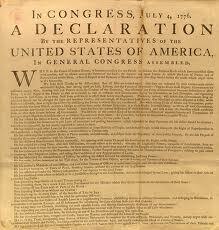 This Declaration gave rise to the greatest nation the world has ever known. Subsequently the authors of the United States Constitution declared through the Fifth and Fourteenth Amendments that liberty could not be taken away without due process of law, that is through fair procedures. In a long series of cases, the United States Supreme Court has held that the right to liberty includes "the fundamental liberty interest of natural parents in the care, custody, and management of their child." Nonetheless states effectively abrogate this right through laws allowing natural parents to lose their children through procedures that are far from fair. States allow mothers to sign irrevocable consents to adoption, often within minutes of birth, or even worse, to sign consents before birth with only a short revocation period. States do not require any counseling for mothers about the effects of adoption on themselves or their children or about services which would help them nurture their children. States effectively deny fathers any process at all. Once children are adopted, most states deny them the right to know who their natural parents are. On this Fourth of July, as we enjoy our hot dogs and beer and fireworks, let's dedicate ourselves to passing laws to protect parents' fundamental right to the care, custody, and management of their children and to the right of children to be raised by their human creators. 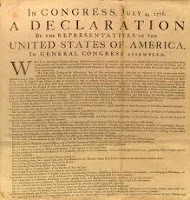 "The right of parents to direct the upbringing of their children is among the 'unalienable rights' with which the Declaration of Independence proclaims all men...are endowed by their creator." United State Supreme Court Justice Antonin Scalia. "The birth family constitutes the preferred means of providing family life for children." Child Welfare League of America. NOTA BENE: I tried to fix the font of this post and ended up deleting some language. I've re-written it but unfortunately lost the original posting of the comments. We've reposted the comments, but of course the original time when they were posted has been lost and there are a few other idiosyncrasies you may see. Please excuse us lowly and lame bloggers. Amen to that too Robin. We can probably put that up on cafepress as a bumper sticker!!! aI am an adult adoptee and I just celebrated my 20 yr reunion anniversary with my first mom last month. I never doubted that I would search; I just questioned the how and when. I was born in 68 and was a babyscoop baby. I am also married to an adoptee-in reunion who I met nearly 18 yrs ago at an ALMA meeting where I was a search assistant and offered him help in finding his father after a successful reunion with his mom. Our two daughters have a confusing family history with so many grandmothers on their family tree. I just found your blog and am reading thru it and enjoying it immensely. My search and reunion was the best thing I ever did for myself and I count my blessings everyday that my mom and family is back in my life. I have recently returned to the adoption movement after life interrupted and I feel like I am coming home! I am thrilled to see firstmoms writing about their feelings and work in the movement and I am more than happy to do everything I can for my part in it. I have been emailing and writing senators and representatives in NY (where I was born/adopted) and have started attending local CUB meetings in FL where I now live. Please feel free to email me directly at leigh53168@yahoo.com with any questions or if I can be of assistance with any of your endeavors! Welcome, Leigh! We have 691 posts since we began writing this blog in May of 2008. You will find the search function at the bottom of the entry page useful in helping you find blogs on the topics you are most interested in. Jane and I use it ourselves to find the earlier, related blogs we often list at the end of the current post. all i want is my "original" birth certificate but the State of New Jersey tells me NO. I'm going to be 65 next month, how about giving an adoptee a break. Give that Governor (Christie) of yours a smack in the head! He outta know better. He outta have more humanity. And a diet. 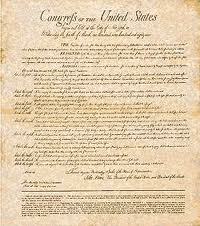 "Natural parents have the natural right to nurture their children..."
I had a hard time this 4th of July. For the first time, I was acutely aware that one of my ancestors came to this country from Great Britain and was instrumental in our country achieving its independence. Thanks to closed adoption, I was never supposed to know this. I was never supposed to know that a man whose genes I carry helped to accomplish such a remarkable feat and that my family played such an important part in our nation's history. Oh, and this lineage is entirely through the male line so my ancestor's last name is what would have been (should have been) my maiden name. These closed OBCs really piss me off. There is no excuse for denying anyone the right to know his or her genetic heritage whether it is illustrious or not. Take a look at the video of the adoptees getting their OBCs in Rhode Island, in the sidebar. It is heart-wrenching and makes it so obvious that preventing all from having theirs is a great injustice. But Chafee got the bit about Steve Jobs wrong! Did get it wrong about Steve Jobs. Mr Jobs wanted to know was able to search and find his mom,dad and a full sister. Those who make remarks like that show the know nothing of losing their families to adoption. Just plan ignorance spoken at a moment these adoptees are finding out who they are and who they were born to without interference. You are right about credit cards and the ability to get an easy loan that did not need anyone's approval would have made a difference for some. But there was so much societal pressure to relinquish. The shame I felt was bottomless. I HAVE A QUESTION!! IF ME AND MY SON'S BIRTH FATHER LET MY PARENTS ADOPT OUR SON AND NOW REGRET OUR DECISION, IS THERE ANY WAY WE CAN OVER-TURN THE ADOPTION.. IS THERE ANY LOOPHOLES THAT WE SHOULD BE AWARE OF THAT CAN HELP US IN THE PROCESS OF TRYING TO GET HIM BACK!! WE ARE WILLING TO TRY ANYTHING.. THANK YOU ALL SO MUCH FOR YOUR TIME!! Just as we’re all finally dry-eyed after the emotional 16 and Pregnant Season 4 finale with Kristina Robinson, we have another heart-wrenching story from Season 5! 16-year-old Lorelei announced on Twitter that she will be featured on the popular MTV docu-series next season, and has been uncharacteristically very forthcoming with specific details surrounding her pregnancy and her plans to give her daughter Arianna up for adoption, including the shocking announcement this weekend that Arianna was returned to her by her adopted parents because of health issues! Thanks to a reader who sent us to the website where you can read all the dirt on the young mother stars of 16 and Pregnant. Well shouldn't you be cheering? A birth mom got her child back.